In every challenging situation, personal or professional, individuals face the pressure to play it safe and conform to the accepted norms. But doing so comes with heavy costs: passions stifled, talents ignored, and opportunities squelched. 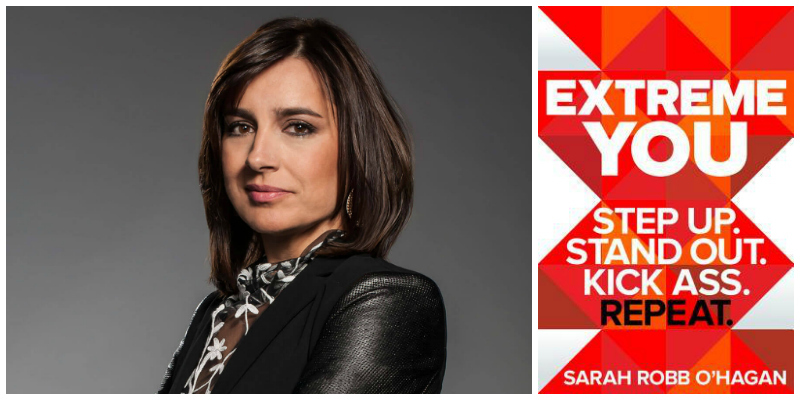 The bolder choice is to embrace what author and entrepreneur Sarah Robb O’Hagan calls Extreme You: to confidently bring all that is distinctive and relevant about yourself to everything you do. Inspiring, surprising, and practical, her new book Extreme You is her training program for becoming the best version of yourself. As a child, Sarah Robb O'Hagan dreamed she could be a champion. Her early efforts failed to reveal a natural superstar, but she refused to settle for average. Through dramatic successes and epic fails, she studied how extraordinary people in sports, entertainment and business set and achieve extremely personal goals. Sarah became an executive at Virgin Atlantic and Nike, and despite being fired twice in her twenties, and went on to become the global president of Gatorade and of Equinox--as well as a wife, mother, and endurance athlete. 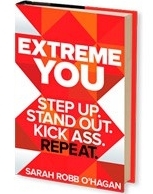 Extreme You is a lifelong method for discovering and making the most of what’s in you, starting from wherever you are with your own diverse mix of interests, skills and experiences, and yes, that includes setbacks, losses, weaknesses and failures. To me, the question of how to make the most of what’s in you and how to make the world recognise what you’ve got are a lot like the questions that great leaders grapple with when figuring out how to build the best teams, brands and businesses. Go forth, find your mountain, and enjoy the amazing journey to the summit of your potential. Executive, activist and entrepreneur, Sarah Robb O’Hagan has been described by the media as everything from “Superwoman undercover” to the “Pied Piper of Potential.” She is a high-energy combination of disruptive business leader, fitness fanatic, and cheerleading mom, and has been named one of Forbes‘ “Most Powerful Women in Sports” and one of Fast Company’s “Most Creative People in Business.” As Chief Executive Officer of the fast growing indoor cycling company Flywheel Sports she is currently leading the transformation of the business through digital content and services. Prior to this role, Sarah became an internationally recognized re-inventor of brands, having served as global president of the $5Bn sports brand Gatorade, where she successfully led the business through a major repositioning and business turnaround, and global president of the luxury fitness company Equinox, where she reinvented the offering through a significant technology transformation.